In 1877 when cousins Ilario and Leopoldo Ruffino embraced their passion for winemaking by establishing a small winery in the town of Pontassieve near Florence, the region already had a centuries-old tradition of growing exceptional wine grapes. Even so, the two Tuscan natives felt certain that much of the area's greatness had yet to be revealed. 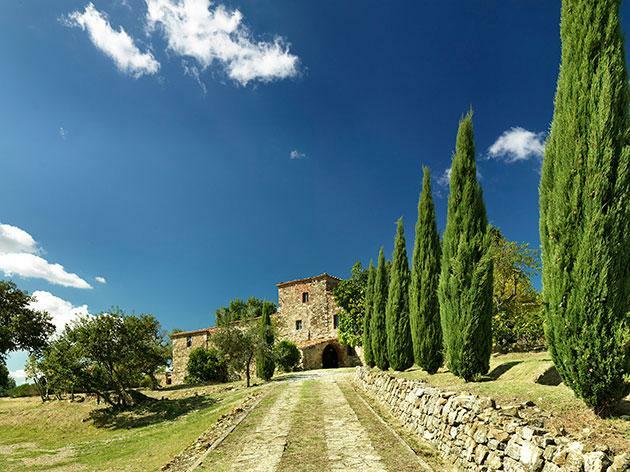 Tuscany had been heaped with good fortune--mineral-laden soils, the cooling influence of the Mediterranean Sea, the dry summers that wine grapes favor. And all those luscious, sun-drenched hills. As word grew about the quality of Ruffino's wines, the winery flourished. The cousins honed their expertise, and soon Ruffino became known for clean, balanced wines, adopting the motto "here we make ideal wine." Ruffino's status was firmly established both nationally and internationally when its Chianti won a Gold Medal at the 1881 Milan Wine Exhibition, a prize at the 1884 Nice Exhibition, and another Gold Medal at the 1885 Antwerp Exhibition. Intrigued by the winery's reputation, in 1890, the Duke of Aosta braved a long journey to taste the Ruffino wines he had heard so much about. He was so impressed by the wines that he appointed Ruffino as the official supplier to the Italian royal family. In 1927, Ruffino returned some of the honor bestowed upon its wines by releasing its first vintage of Riserva Ducale--named after the Duke of Aosta as an acknowledgement of his esteemed patronage. The reputation of Ruffino wines continued to spread, and Ruffino soon began to export its wines to the United States and other countries. In fact, the first Chianti imported to the U.S. was Ruffino. After the Second World War, Ruffino purchased the first of its Tuscan estates, the Villa di Montemasso in the Chianti Classico region.. Ruffino continued to invest in new vineyards and became one of the first major wineries with vineyard estates in Italy's three most renowned wine-producing regions – Chianti Classico, Brunello di Montalcino and Vino Nobile di Montepulciano. Ruffino has established itself as a leader in Chianti, renowned for consistency and quality, and Ruffino Chianti has become a global ambassador of Tuscan wines around the world. Not surprisingly, when Chianti first became recognized as a DOCG wine in 1984, Ruffino Chianti DOCG was awarded the first warranty strip #AAA00000001. Today, more than 135 years after its founding and over 85 years after the release of Riserva Ducale, Ruffino continues to express the history and heritage of Italy with every bottle of wine released. "Crisp, clean and delicate with fine bubble caressing the palate. Intense sensations of apples and peaches drive a pleasant aftertaste, that is reminiscent of fruity and floral aromas."